It’s not hard to think of a Satanic horror movie. During and after the 1960s, they were a dime a dozen. 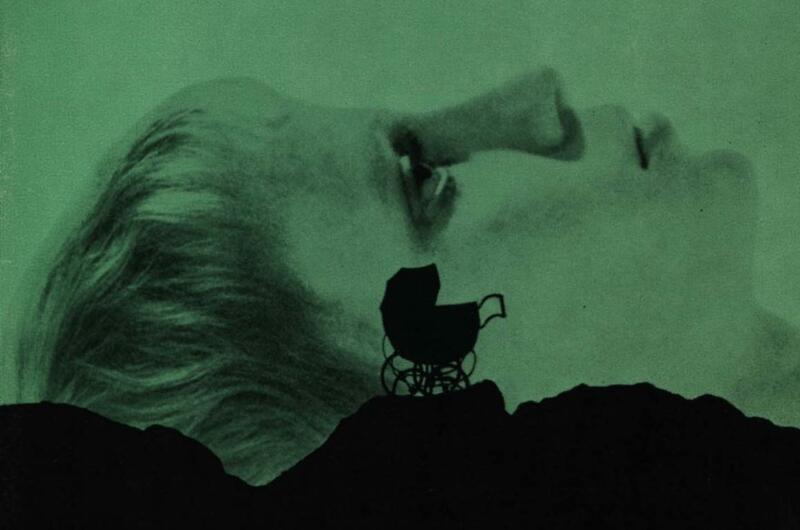 Rosemary’s Baby comes to mind immediately. Schlock classics like The Mephisto Waltz and The Devil Rides Out associate devil worshippers with general skullduggery and magical mayhem. These B-horror classics have defined what we think of as a devil-worshipper: suave, personable, and possessed of occult power. Devil worshippers on film tend to be articulate practitioners of intricate magics derived from inversions of Christian tradition. They’ve certainly been present in fiction for a long time. All the way back in the Middle Ages, the Catholic church – which was, at that point, the only church – was ginning up non-existent Satanists left and right. The fact that these enemies didn’t actually exist made them all the better as boogeymen. They were capable of anything, everything, and more. Their behavior could be as bizarre as necessary. No wonder Hollywood went nuts when the Church of Satan was finally founded in 1966. That said, Satanism was something of a cash cow for a niche corner of the horror market. The post-sixties era gave us The Omen and The Devil’s Rain, two movies that capitalized on a new resurgence of interest in the dusty old Lord of Darkness. Recall that even during the seventies, interest in established Christianity was waning. People believed less in Satan, per se, than they did in an ambiguous, philosophically malleable sliding scale of greater and lesser social good. When you think about how comforting it is to know, without any sense of ambiguity, that something is just wrong, it’s not surprising that Satan is still a prominent figure in horror, nor that Satanists still get some decent media reaction. As far as horror movies are concerned, Satanists are an easy villain to toss at the screen. There need be little setup to establish their place relative to the viewer and the protagonist. They are auto-enemies. But film, alas, has lied to us. The truth about Satanists is far more interesting than what you get from watching The Lords of Salem. Real Satanists generally have less interest in owning your soul as they do in engaging your mental and political sensibilities. If there were a horror movie made about real Satanists, it might be an hour-long discussion of the value of libertarian philosophy, a dialectical examination of the line between self-worth and narcissism, or a ritual focused on posthumously transforming the deceased mother of Christian extremist Fred Phelps into a lesbian. For an in-depth look at Satanism, you need look no further than Cultured Vultures. Our very own Callum Davies interviewed Peter H. Gilmore, a real Satanic High Priest, in 2016, and he turned out to be a pretty chill guy with some interesting things to say about The Witch. Most Satanists don’t actually believe in Satan, per se. The Church of Satan, which may be the largest of several extant Satanist denominations, officially disavows the existence of the Devil, God, Heaven, Hell, and the soul. The foundation of the church is the idea that human beings are essentially carnal – that is, your mortal experience is all that matters. It encourages adherents to obey the law, but not to waste energy conforming to arbitrary social standards or being nice to people who are willfully ignorant or hostile. They revere the idea of Satan, who they like because he dared to think for himself, but he’s more of a mascot than a boss. Theirs is a refreshingly direct approach after the pussyfooting of on-screen Satanists. Let’s face it: the Satanists of Hollywood need to take a page from Anton LaVey’s book. If you’ve ever had the impression that a lead character might be persuaded to sell their soul if only someone sat them down and discussed the problem rationally, then consider yourself in good company. No victim in history has been positively affected by scare tactics, and the big fright has never yielded movie Satanists what they’re after in an efficient manner. On the other hand, it’s easy to imagine how a conversation between a real Satanist and a leering on-screen Satanist might progress, beginning with an attempt to find common ground and ending with deep frustration on both sides. Religious Satanists are just ultra-pragmatic atheists with a focus on secular humanism. That’s still a generalization, of course. There are Satanic denominations that do literally worship the Devil. Belief in a real, active Satan is known as theistic Satanism, and it does tend to lean heavily on “magic” rituals and acts of evil. The Order of Nine Angles even infamously promotes human sacrifice, crime, and Nazism. This branch is as truly frightening as anything Hollywood can cook up, but when compared to the more populous Church of Satan, it’s clear that these wingnuts are extremists. Granted: here, among theistic Satanists, are the Satanists we’ve all been looking for. It’s tempting to point them out as the validation of thousands of years of jumping at horned shadows. But if we do that, then we also have to daub all Christians with the same brush as the Westboro Baptist Church, and all Muslims with ISIS. As long as we have our pick of Satanists, let’s choose to take the reasonable ones seriously, just as we do with any other religion. The moviehouse Satanist also has a few points in common with the political Satanist, if only because the devil-worshippers of film are essentially activists themselves. True, their goals are often less than lofty – eternal life seems to be a popular one – but they’re essentially working toward overthrowing a theocracy through overblown acts of social sabotage. They’re just focusing on the gore and the payoff rather than the message. The Satanic Temple of Salem, Massachusetts, has much better social media managers. This organization is not to be confused with the Church of Satan, nor with the offshoots of Satanism that believe in, for lack of a better term, a personal Satan. According to their literature, the Temple “embraces blasphemy as a legitimate expression of personal independence from counter-productive traditional norms”. Translated into Average Joe, this means that the Temple likes to perform some truly entertaining PR stunts. The most satisfying of these, by far, has been the “Pink Mass”, a posthumous (and reportedly successful) conversion of extremist evangelist Fred Phelps’s mom to lesbianism. The parallel between the Satanic Temple and the Satanists of film ends at the ideals. The Satanists of the Temple may be goofy, but they’re earnestly so. They use shock value to make legitimate points about the ruts in which society tends to stick itself, and their focus is on making their world a better place. (And occasionally throwing absolutely epic dinner parties.) It’s a collectivist attitude that these Satanists espouse, one that wouldn’t make great cinema. The fictional Satanist is only scary as long as he’s plotting to possess your spouse or stuffing souls into a bottle or something like that. Once he sits you down to have a thoughtful conversation about the value of social disobedience, you have to actually think about what he has to say. If moviegoers wanted that, they’d get themselves to a documentary about libertarian philosophy. The Satanist on-screen is diabolical and sophisticated, a stand-in for Old Scratch himself. In life, Satanists are less nefarious masterminds of evil and more fusty atheist grandstanders. They’re still fun to watch – in fact, the case could be made that they’re more fun – but for the most part, they don’t fit the stereotype. They’re certainly not as straightforward as the Satanists of the silver screen. It’s like movies to reduce something interesting to a one-note performance piece. Maybe one of these Halloweens, instead of another grandchild of The Brotherhood of Satan, we’ll get a movie that looks at the many real-life Satanisms through a more nuanced lens. Now that would be a film worth seeing. Anna Gooding-Call writes, reads, and watches films in Salem, Massachusetts. Check out her blog, The Strange Days of Boston.